RAMALLAH, March 30 (Xinhua) -- Palestinian President Mahmoud Abbas on Friday held Israel fully responsible for killing civilians in the Gaza Strip, while calling for international protection of the Palestinians. "I hold the Israeli occupation authorities for killing innocent civilians," Abbas said in a televised speech on the state-run Palestinian television commenting on the day-long violent clashes along the Israeli border with Gaza. 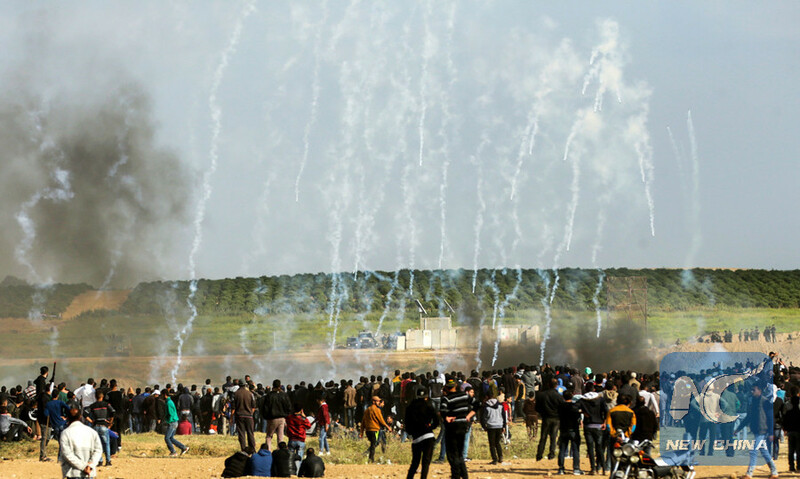 On Friday, thousands of Palestinians started the first day of the Great March of Return organized by various Palestinian factions and political powers including the Islamic Hamas movement, which rules Gaza, and Abbas' Fatah Party. The demonstration is expected to last until May to protest the U.S. move to relocate its embassy to Israel from Tel Aviv to the disputed holy city of Jerusalem. "The demonstrations were peaceful and popular which commemorated the anniversary of the Land Day," Abbas said, adding that it is the right of the Palestinian people to seek self-determination like other nations in the world. The Palestinian Ministry of Health said that the Israeli army opened fire at the Palestinian demonstrators, killing 16 of them and wounding 1,416 others. "Having this high number of casualties in popular and peaceful demonstrations make it very urgent for the international community intervention to ensure an international protection to our Palestinian people," said Abbas. He demanded the United Nations work immediately to protect the unarmed Palestinian people who face a escalated aggression. Abbas unveiled that he instructed the Palestinian ambassador to the UN to make immediate contacts with the members of the UN Security Council and the UN General Assembly to seek possible measures for protecting the Palestinians.